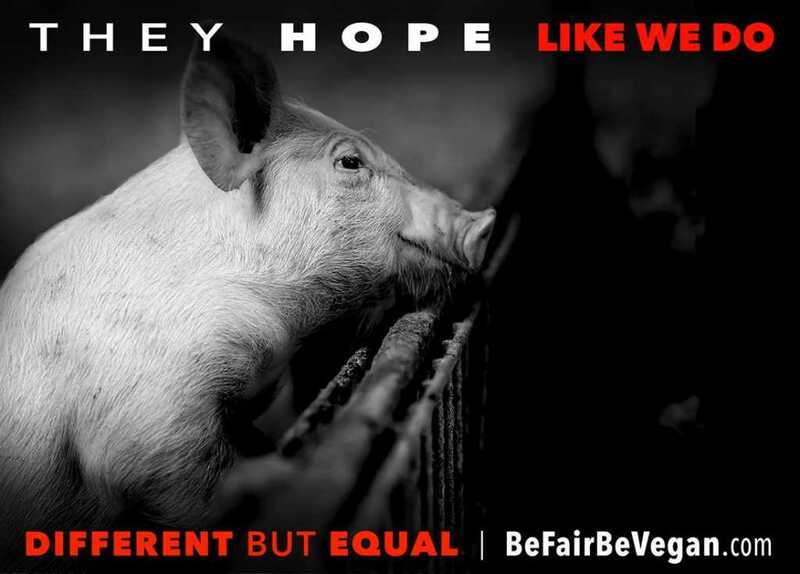 Animal advocacy today, is considered to be the largest social justice movement since the abolition of slavery. 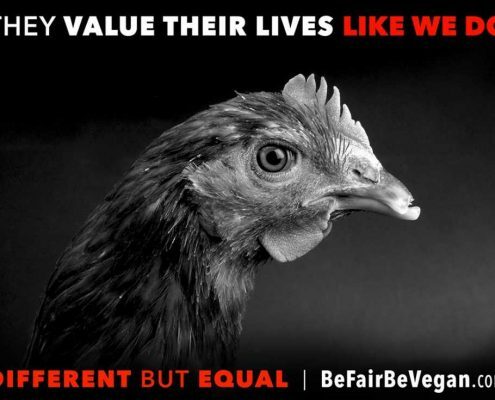 Exploitations against animals basic rights to life are now a direct result of extreme degrees of speciesism and consumerism. 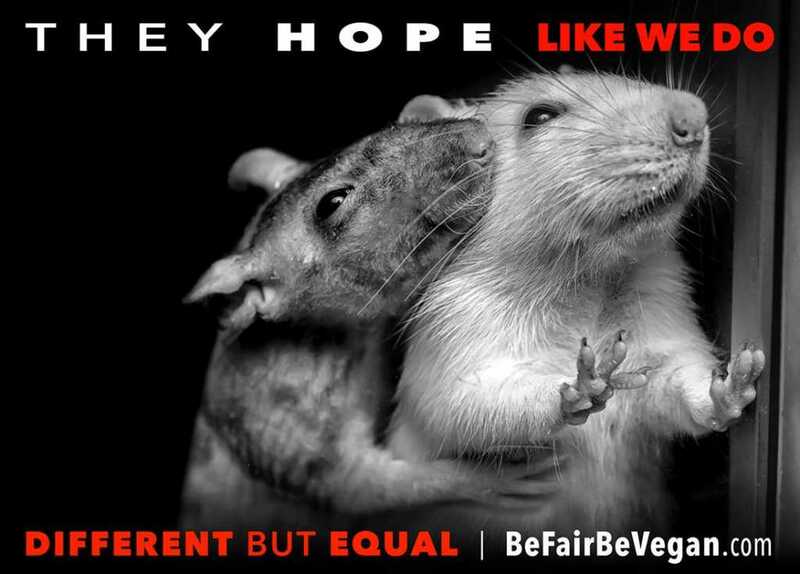 Millions of innocent animals are used for consumption, fashion, research and entertainment every single day. 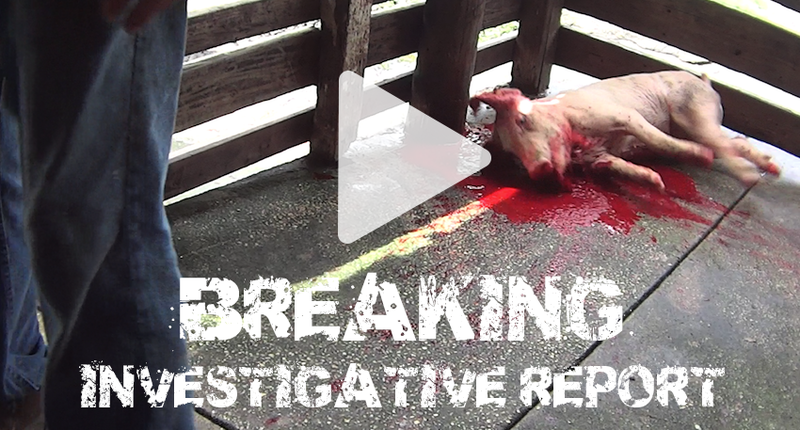 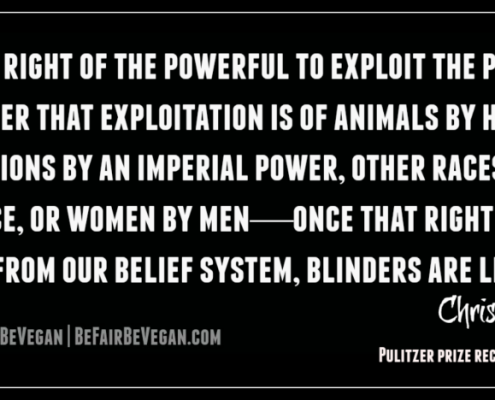 What is even more alarming, is that the human race has become oblivious to the forms of torture that animals are subjected in order to have mankinds needs met. 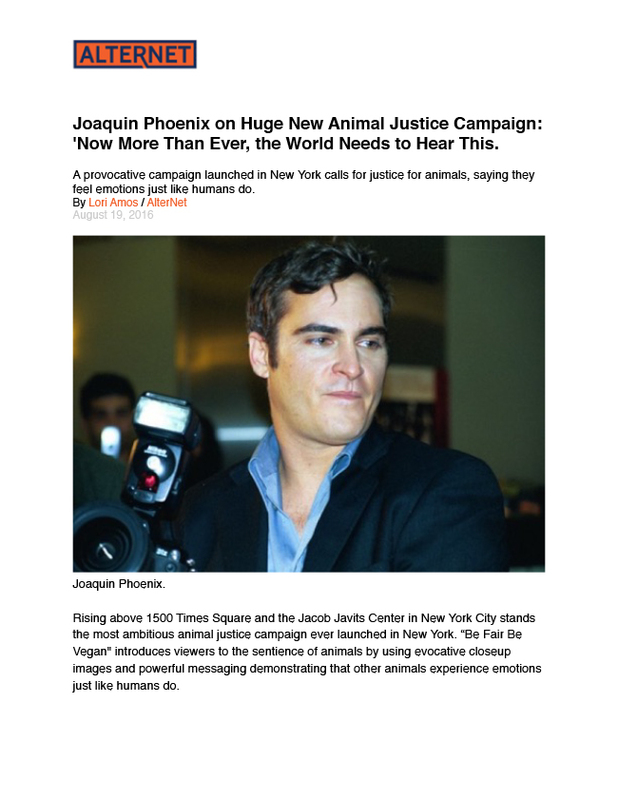 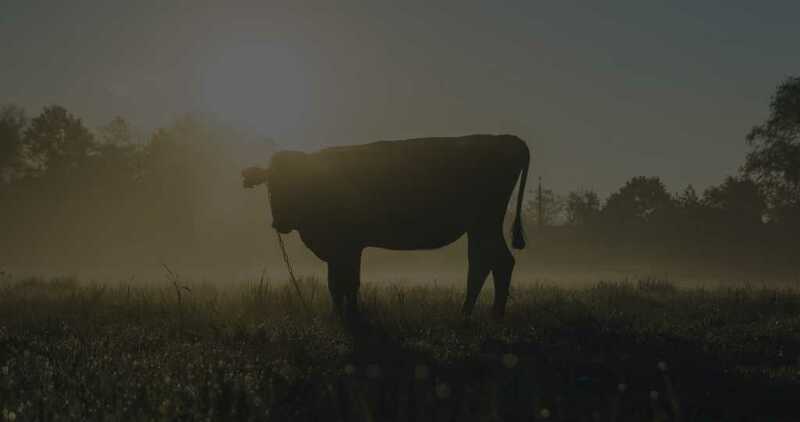 However, because of the animal advocacy movement, that is promoting messages for a more conscious and humane world,animals voices are now being heard and people are starting to listen. 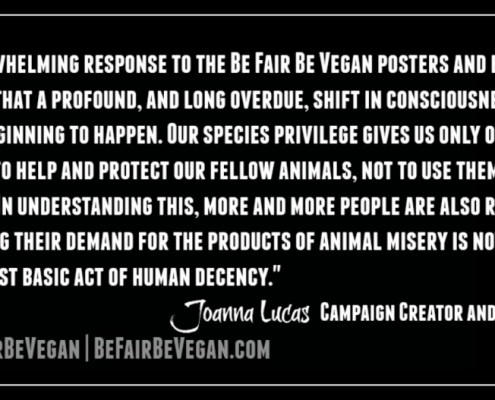 Joanna Lucas, Campaign Creator and Designer. 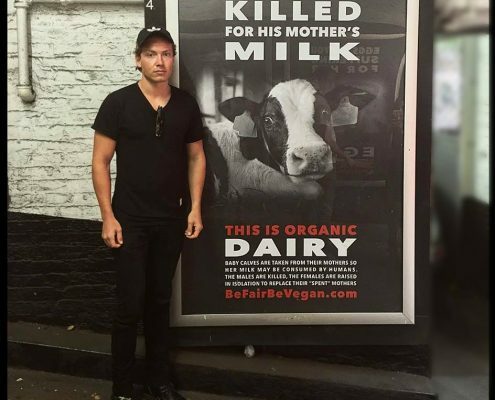 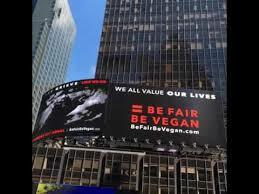 The BE FAIR BE VEGAN campaign is one of those strong messages that is currently taking over the streets of one of the busiest cities in the world. 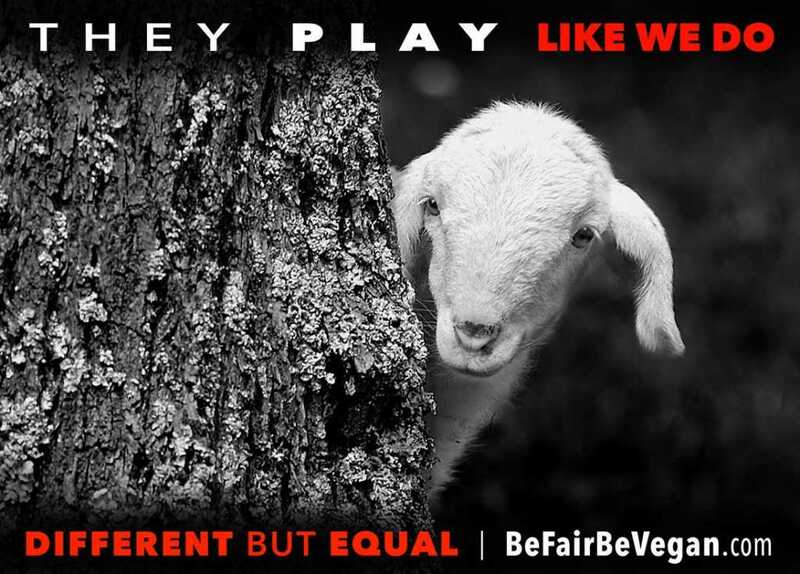 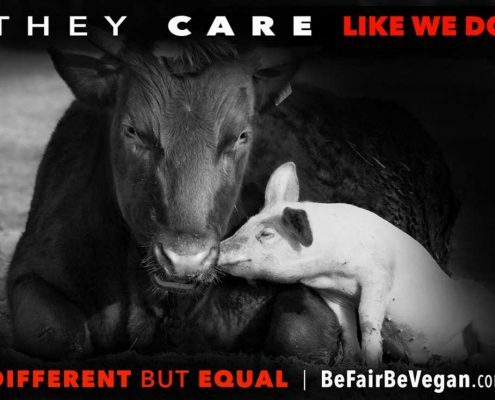 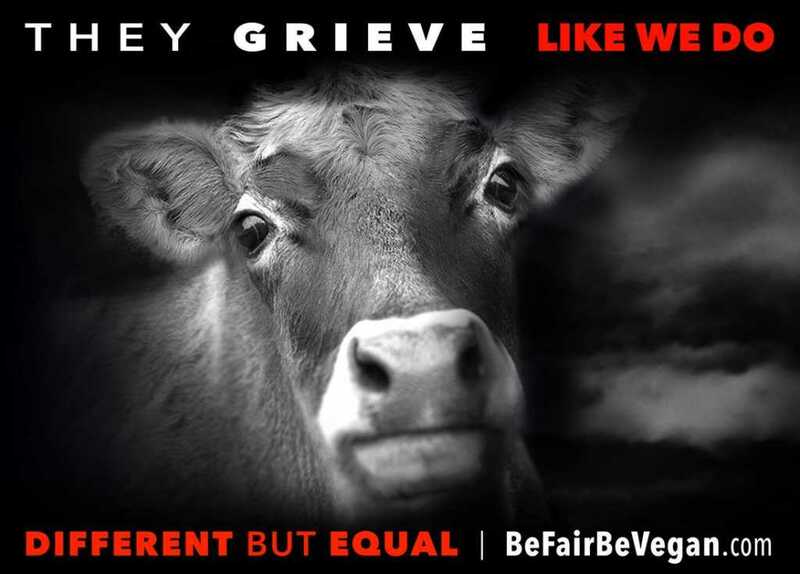 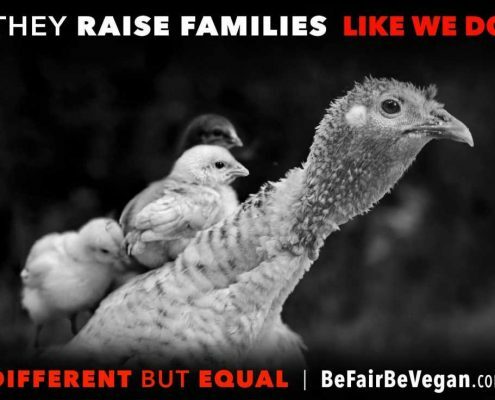 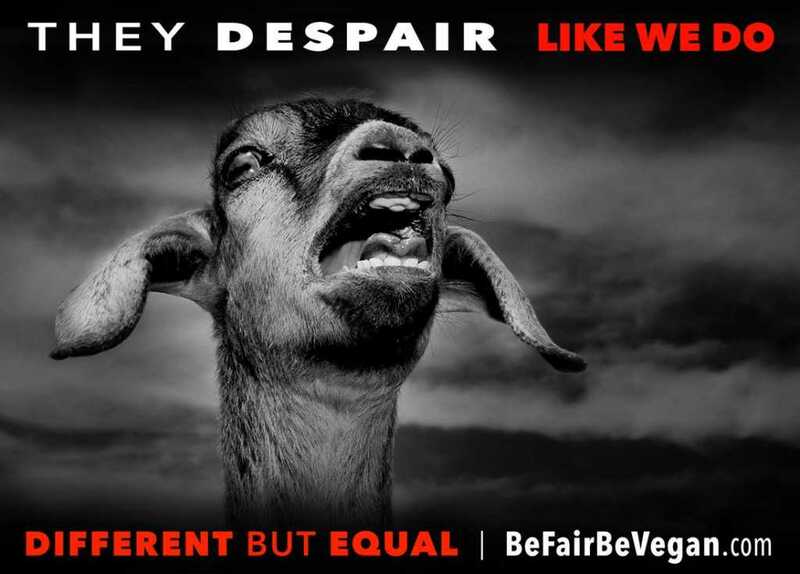 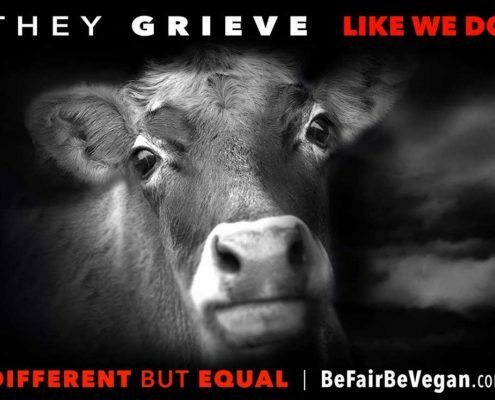 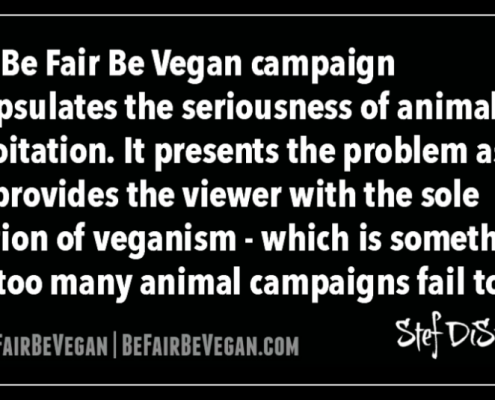 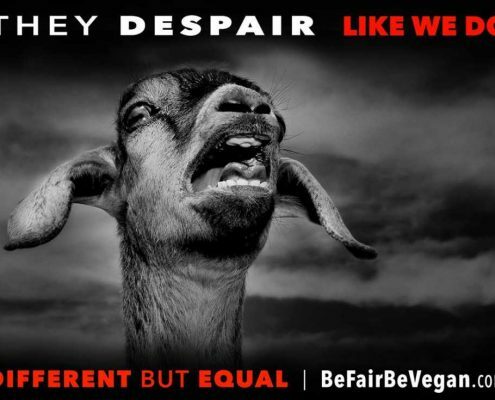 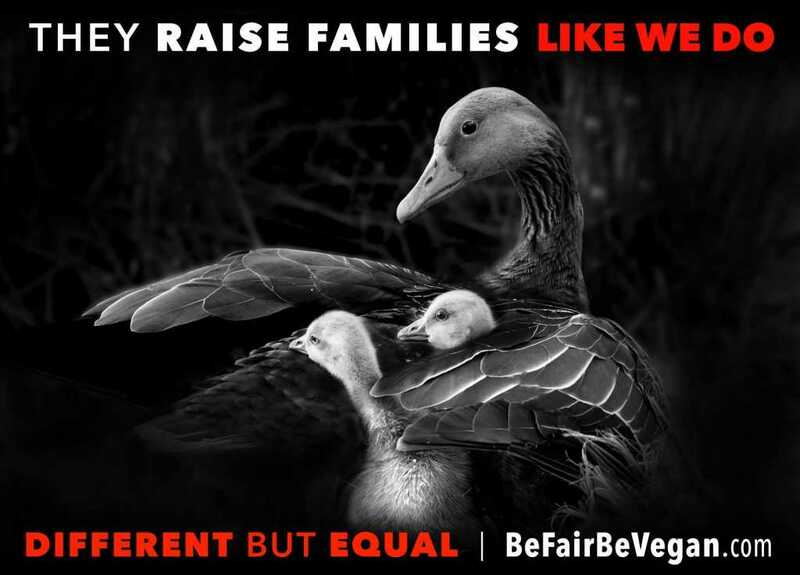 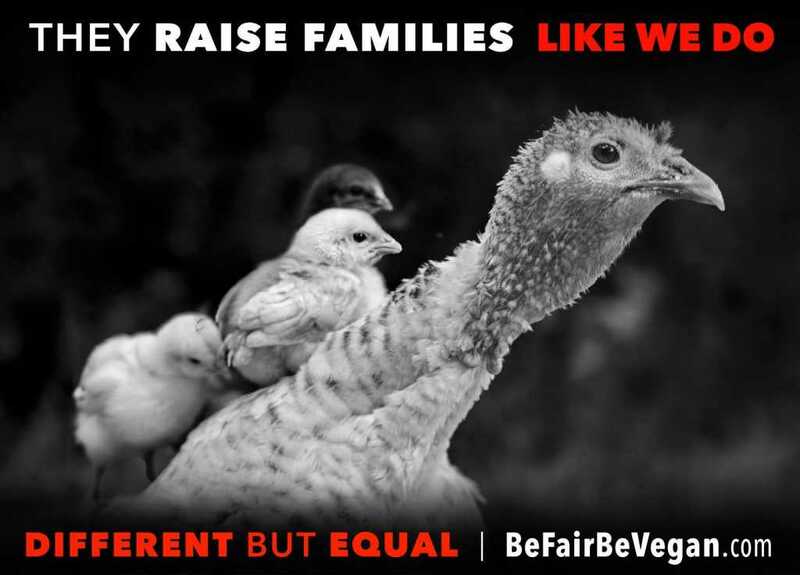 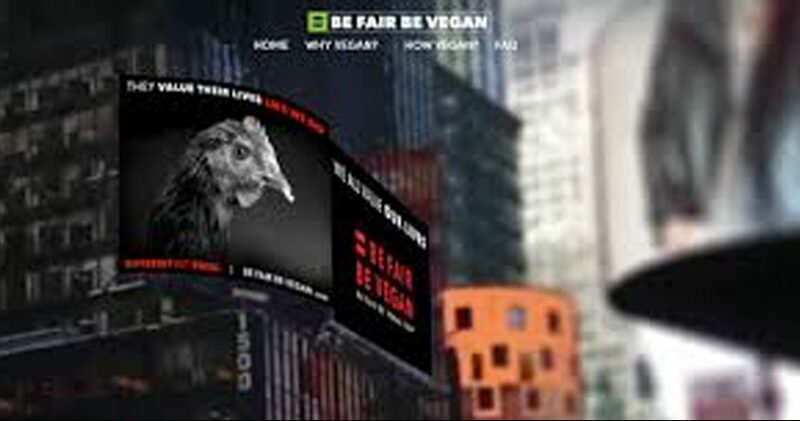 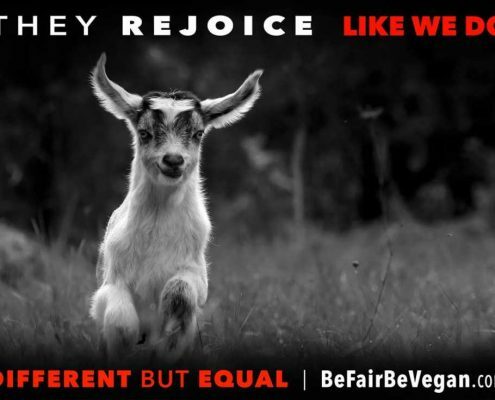 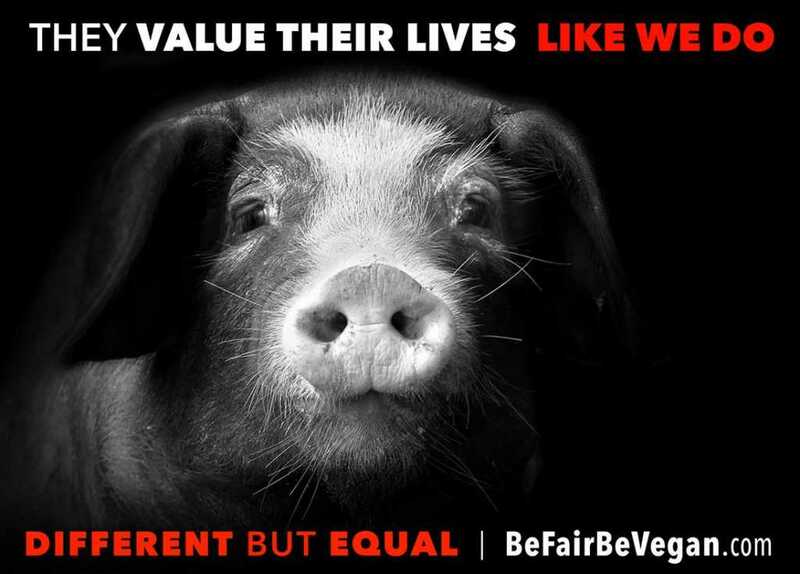 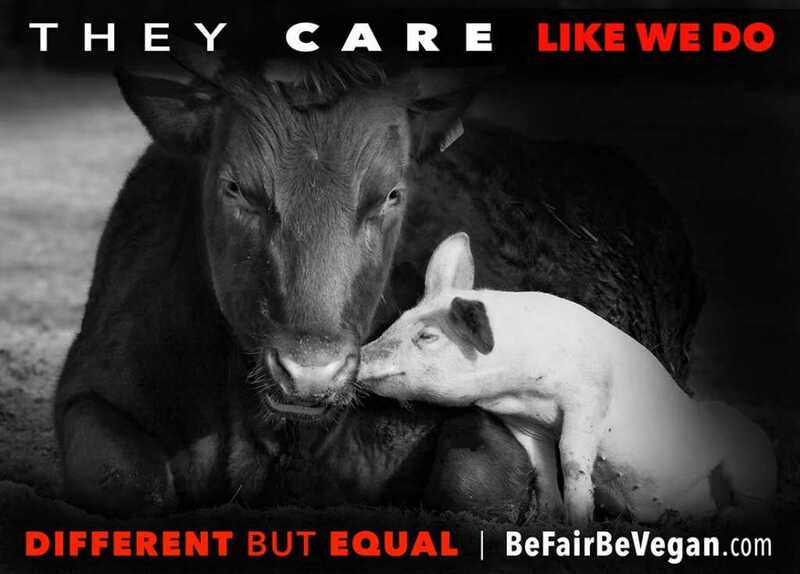 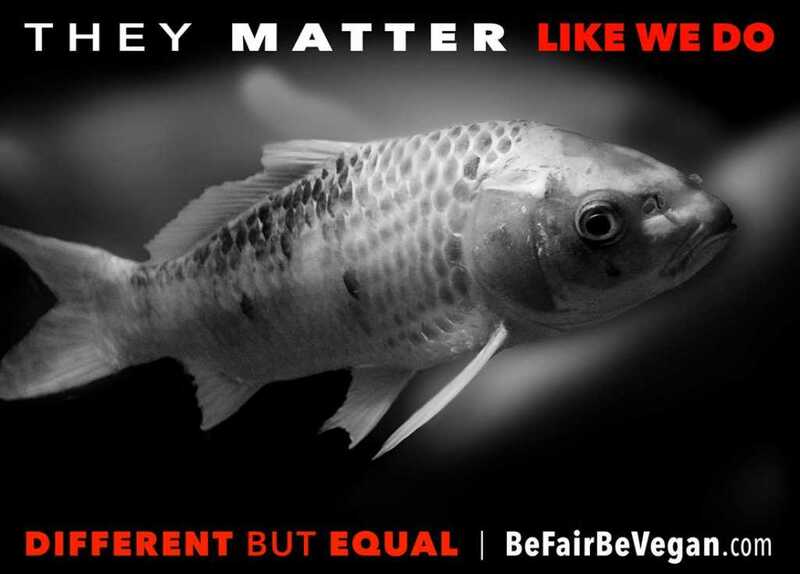 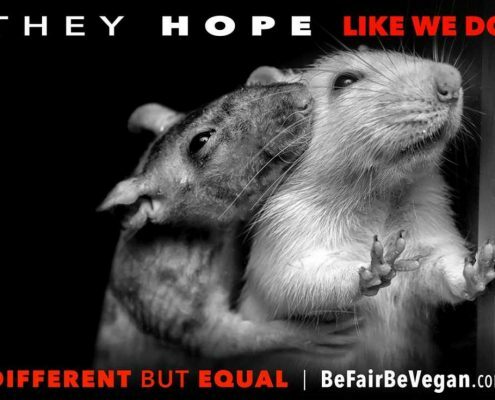 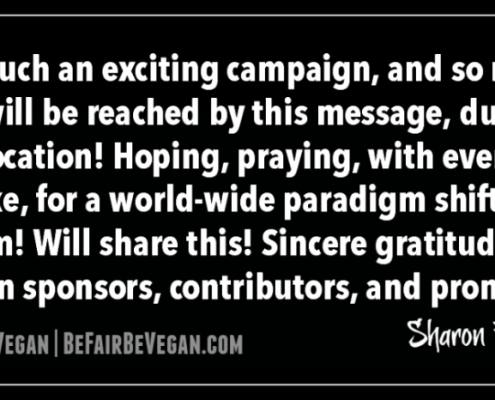 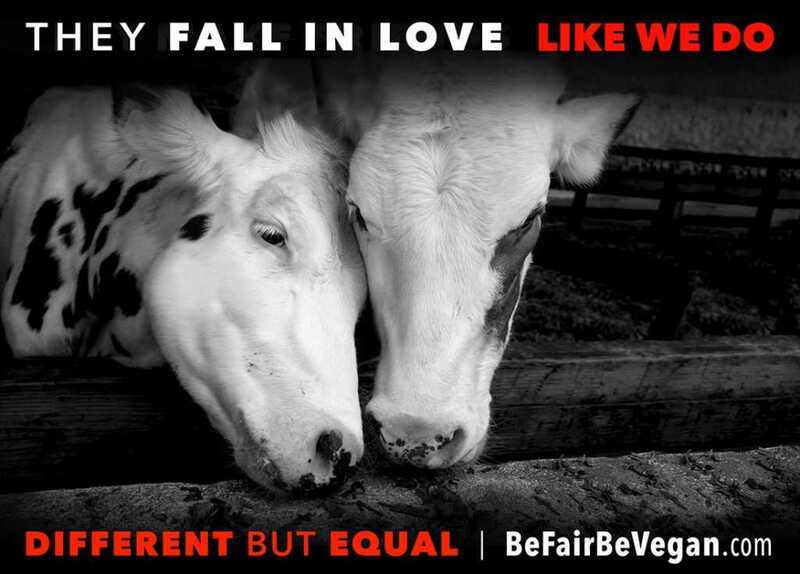 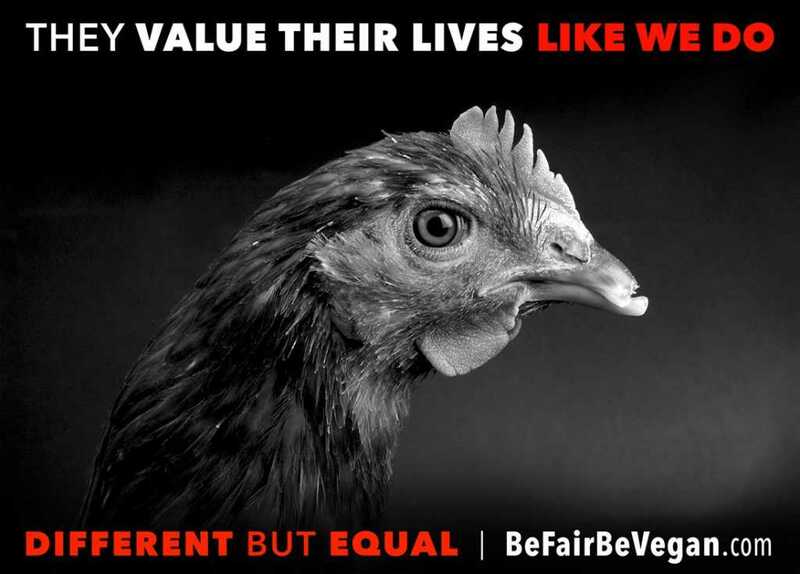 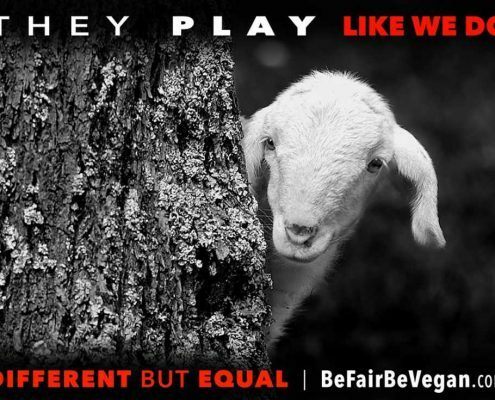 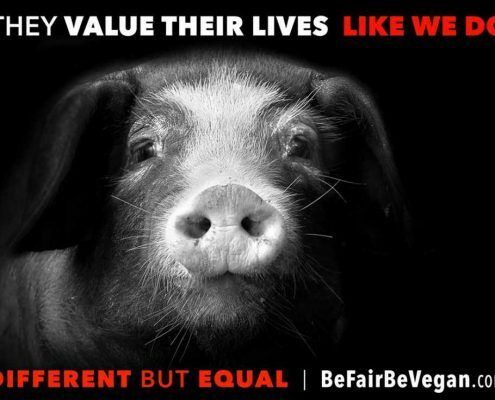 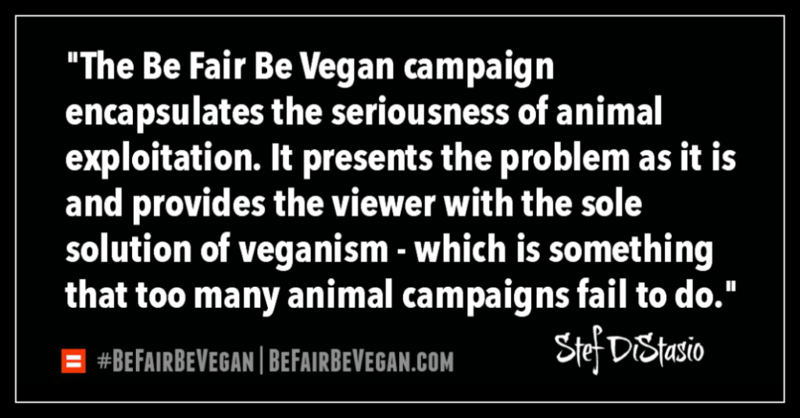 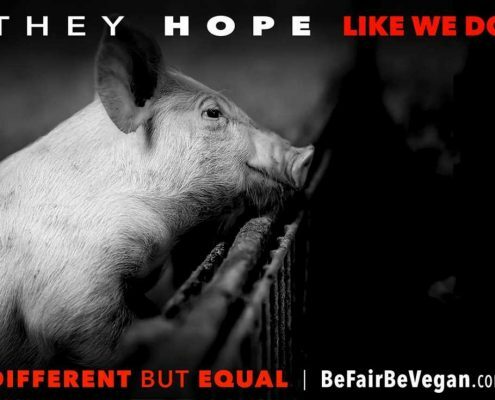 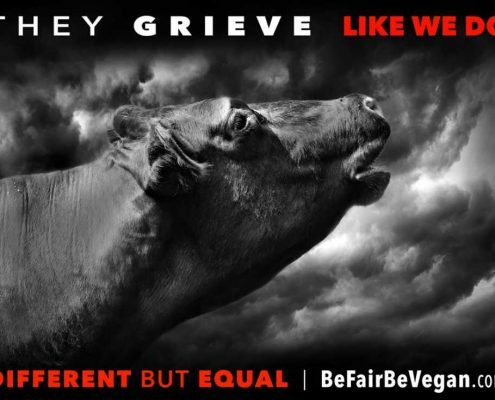 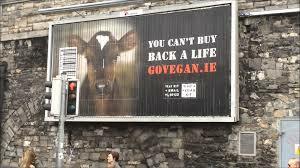 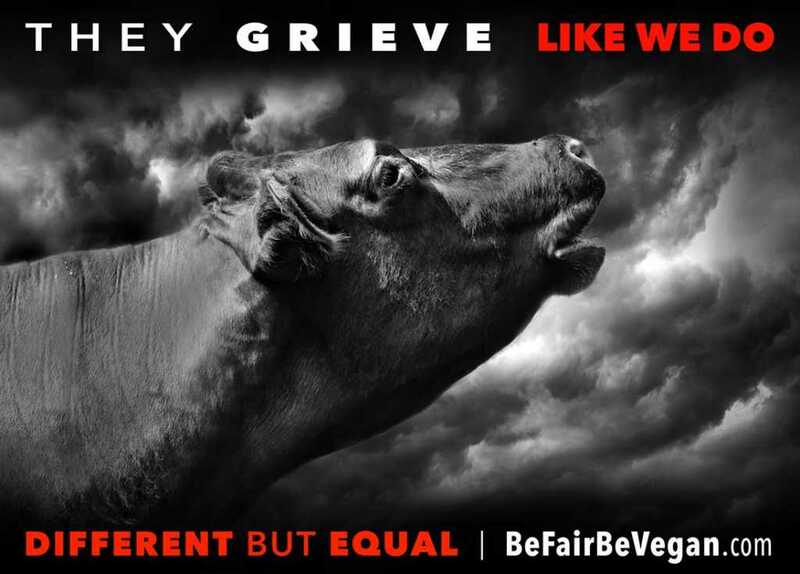 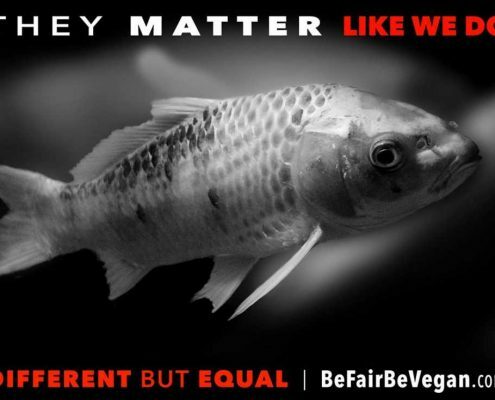 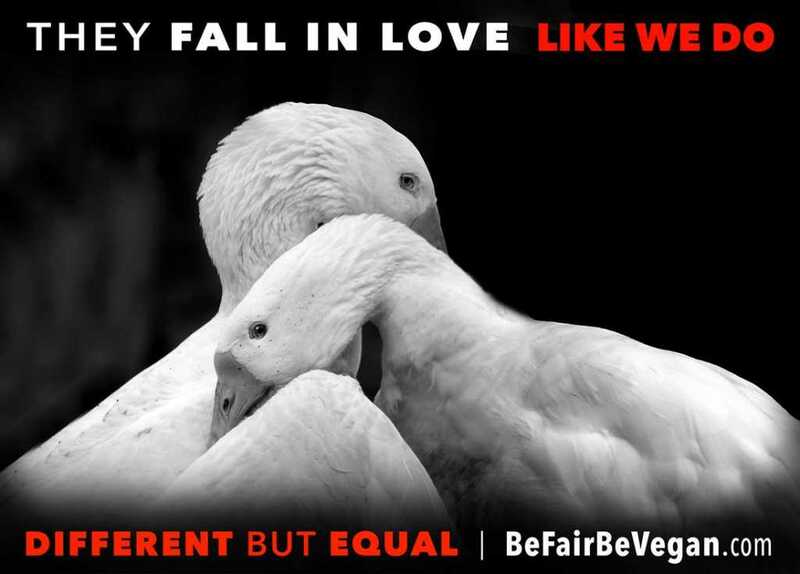 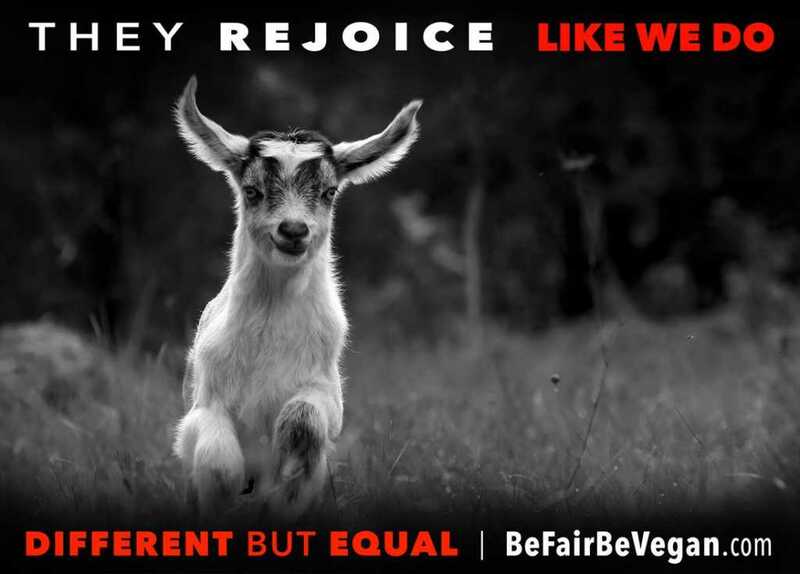 Be Fair Be Vegan, is a revolutionary and high profile campaign that features moving billboards to send one of the most important and history making animal justice messages of our time. 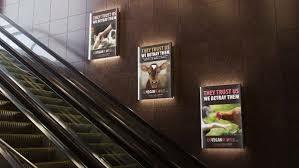 The campaign’s powerful imagery is intended to raise awareness of the lives of animals who are being resolved to society as mere objects to utilize, consume and discard. 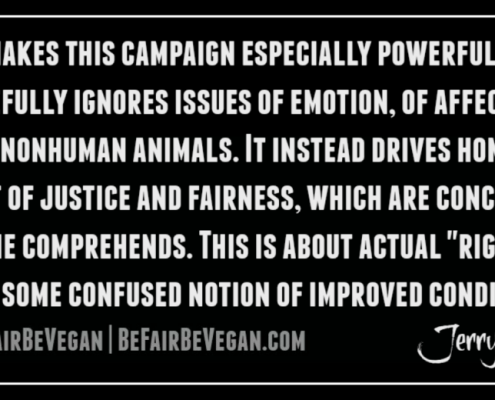 Three presentations are being used to convey the message of animal rights in the hopes to spark a correlation between animals and humans who share the same feelings, emotions and ultimately should be treated the same, as sentient beings. 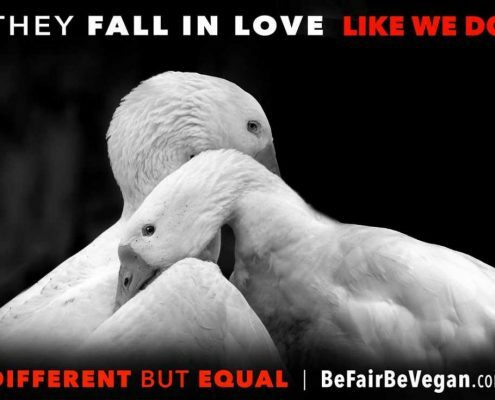 The presentations; “Like Us”, “Which One?” and ‘Different but Equal’ are being rotated on two minute loops throughout the campaign. 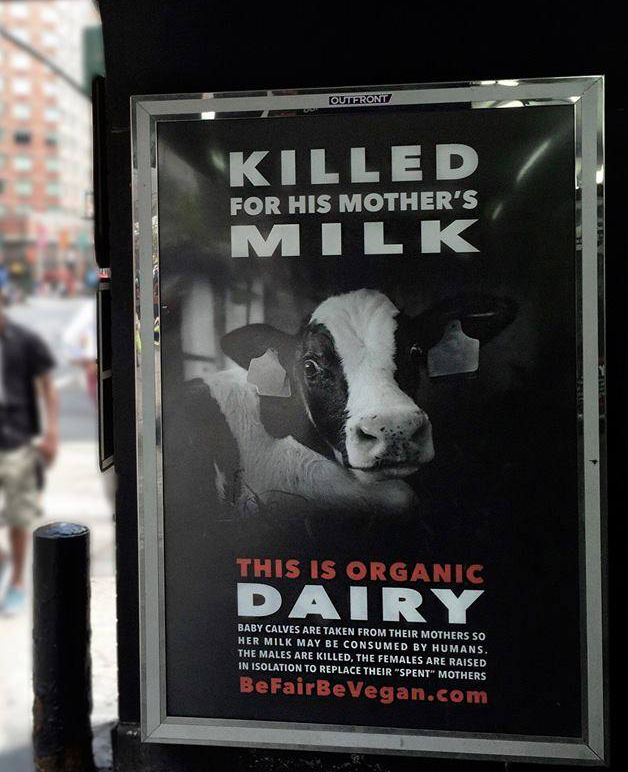 In addition to the billboards, 200 poignant posters are placed throughout NYC in the hot spot, high traffic areas of the bustling city, to resonate with the millions of people that pass them ever single day. 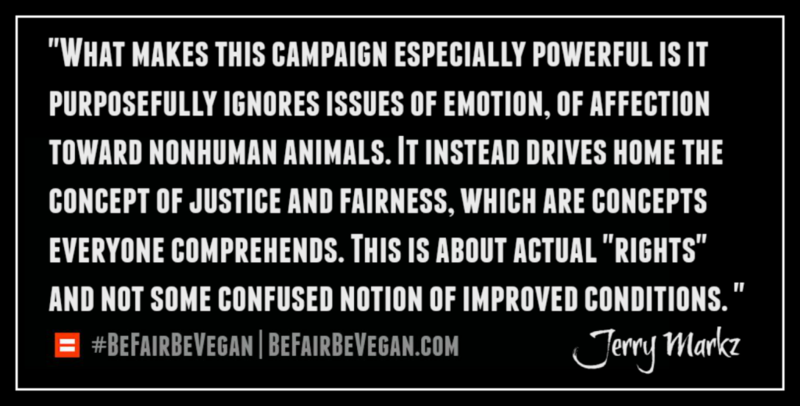 The only way to end atrocities against animals, is to work towards ending the consumption of and use of animal products all together. 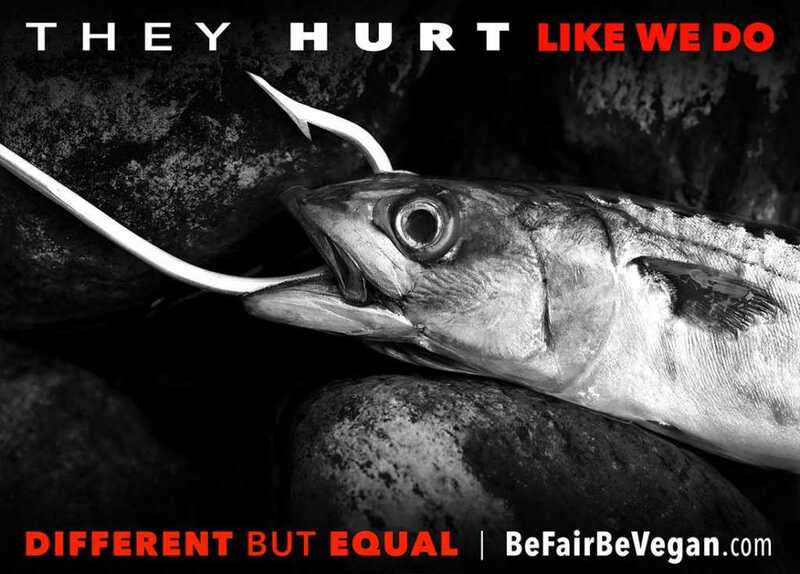 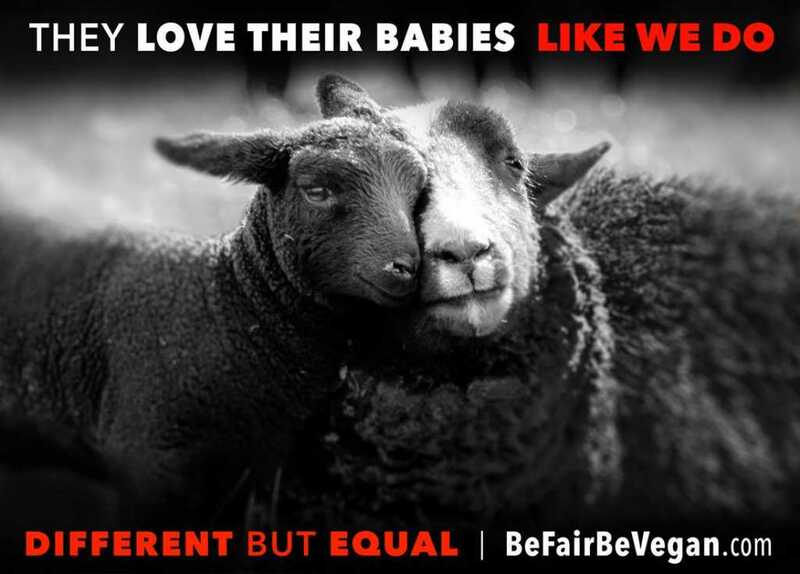 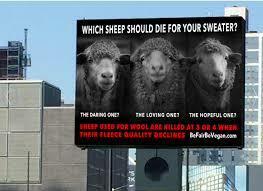 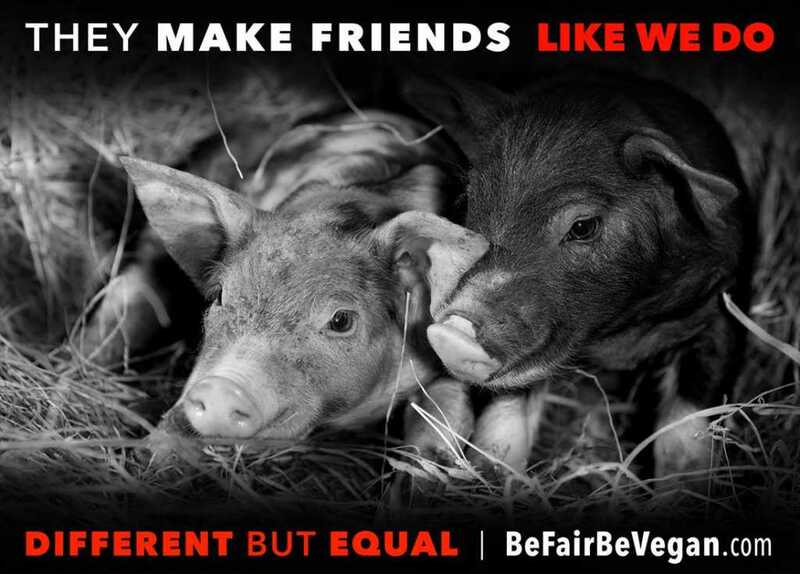 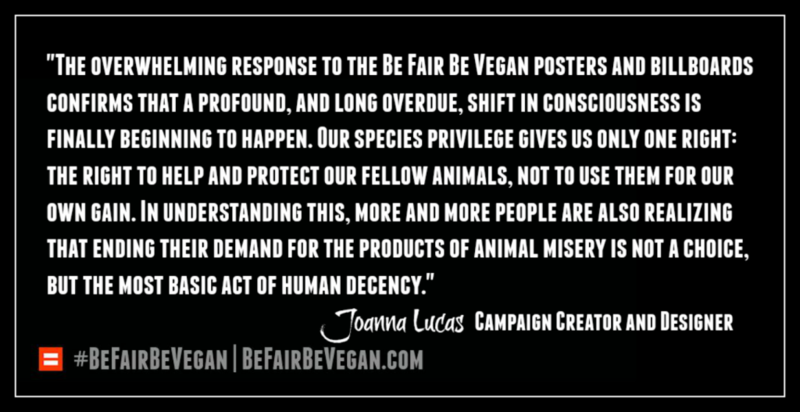 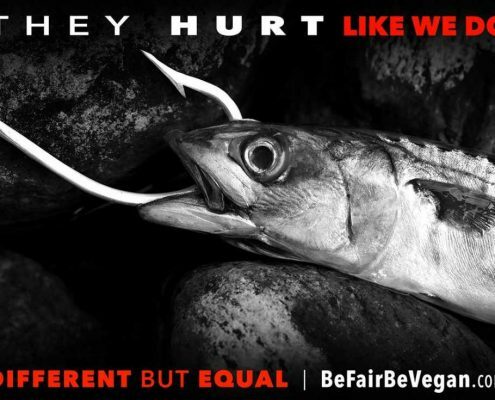 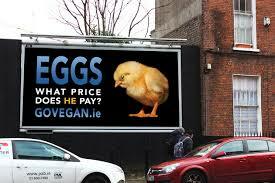 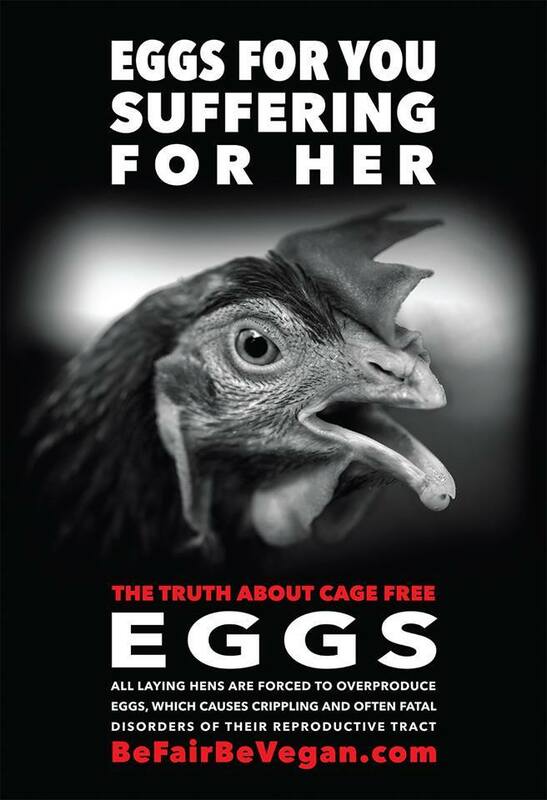 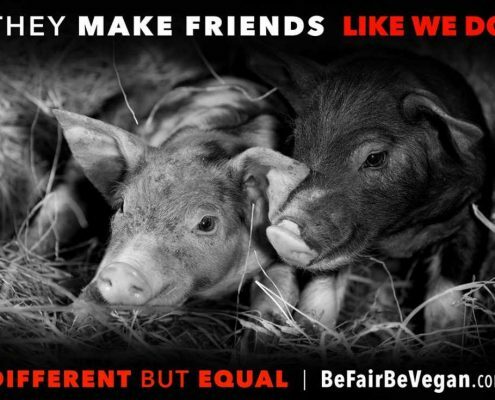 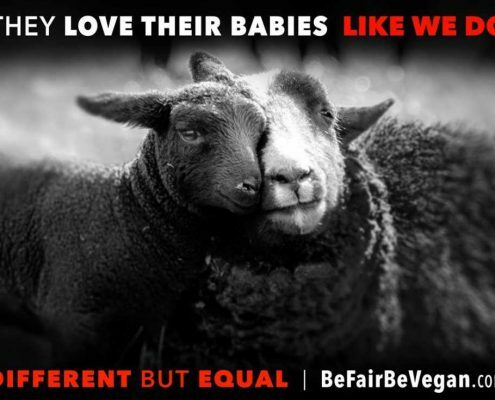 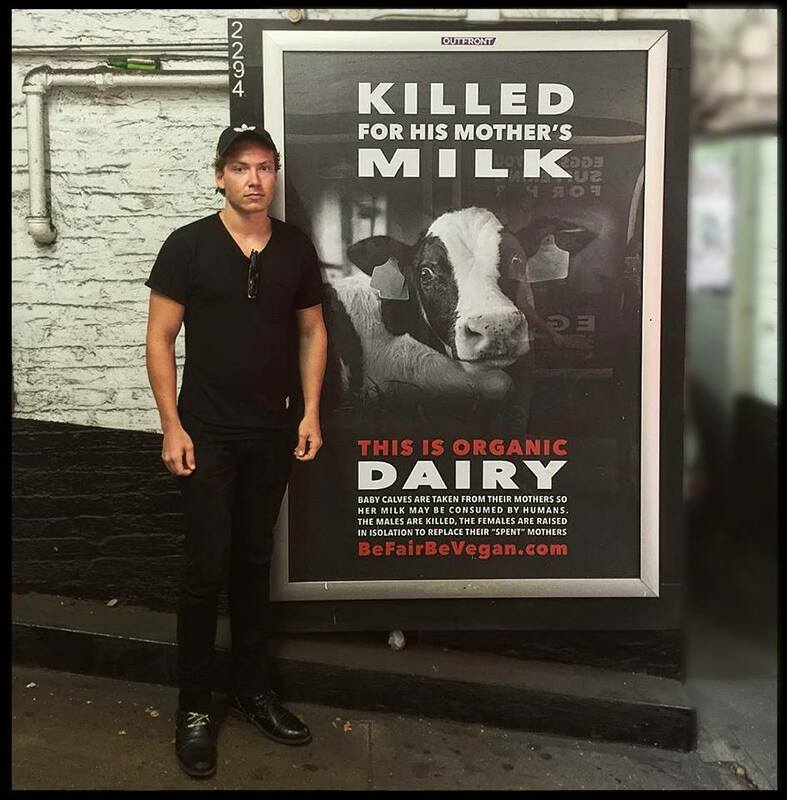 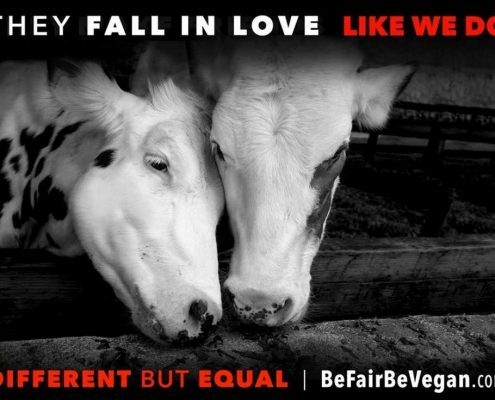 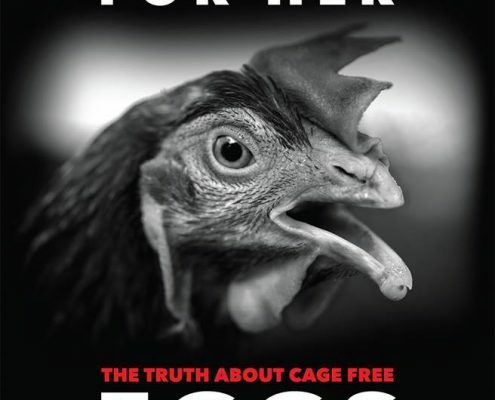 Be Fair Be Vegan poster campaign gallery.